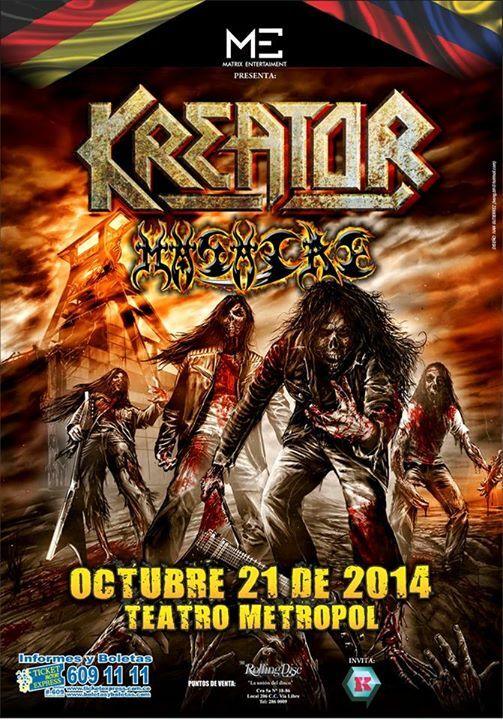 The Nightmare Fest was supposed to be a double-headline show with Hatebreed and Napalm Death. Unfortunately Hatebreed left the tour after a couple of dates in Brazil, so Napalm Death agreed to perform special show with a longer set. 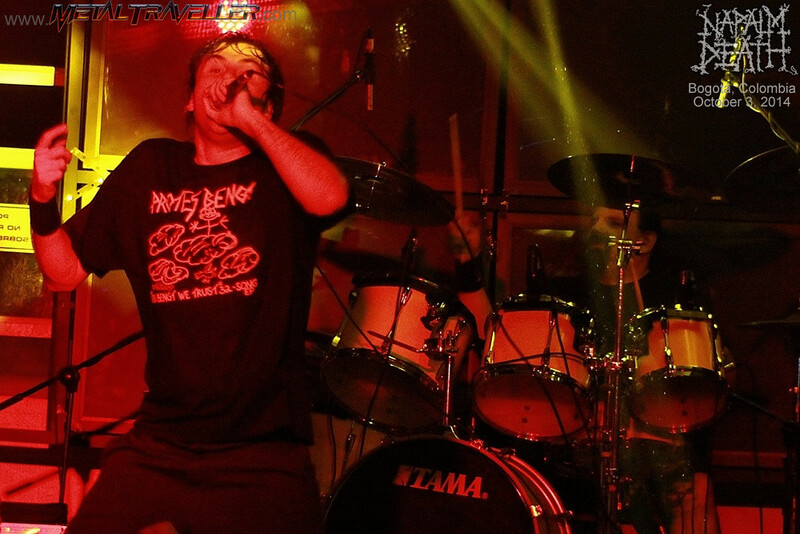 Napalm Death first performed in Bogotá in 1997, a time when not many bands visited Colombia. They have many followers here and have visited the country several times since then. It's been more than 10 years since the last time I saw them on stage, so I was really looking forward to see them in front of the crazy Bogotá crowds. 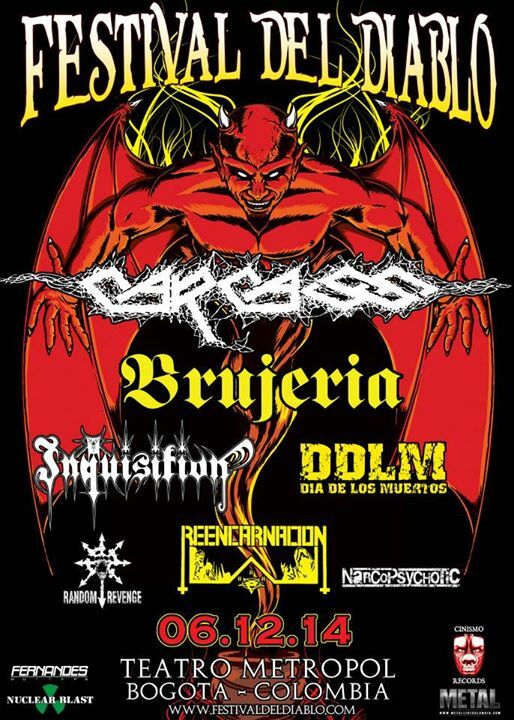 The venue wasn't sold-out, but some 400 fans went to get their dose of extreme Metal. The atmosphere was insane and there was a huge moshpit right from the start. It didn't took long until an enormous circle pit was formed, and crowdsurfers gave a really hard time to the security staff. At times there were up to 5 fans on stage wanting to jump into the crowds! This band is a real war machine and no one can stand still when they're on stage. Especially Barney, but Shane and Mitch never stopped headbanging. The sound was clear and powerful sound, in your face, a real performance without mercy. The band prepared a surprise for us... they performed two new songs! The titles are Pseudo and Smash A Single Digit and this was the first time they were performed live. I liked them both, but the second one was amazing. I wouldn't be surprised if it's the single or video from the forthcoming album. Other highlights included songs like Greed Killing, Scum, On The Brink Of Extinction and the slower Self Betrayal. There's also some kind of fraternity between the band and fans and this chemistry makes the show even more intense. Barney even gave the microphone to some fans so they could sing a line. He's also very talkative and betwen the songs, he spoke in Spanish most of the time. It's fun to hear his normal sweet voice during the speeches, contrasting with his guttural vocals while singing. He thanked everyone for coming despite Hatebreed having cancelled, and stated that they were here so the show could go on! Also, he hinted that they might come back next year. 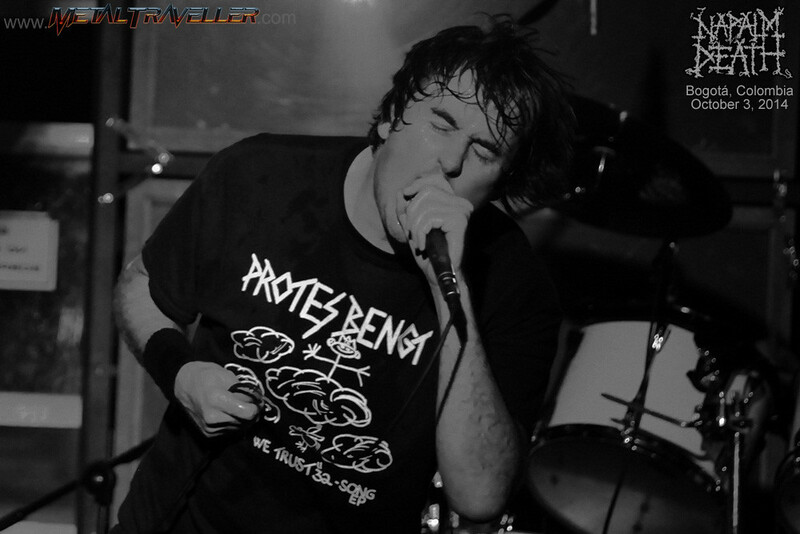 It was a crazy intense night and once again, Napalm Death demonstrated that they're the masters of their genre. Even with Hatebreed cancelled, they made sure that everyone had a blast at the Nightmare Fest. I certainly did.